©2012 30" x 38" In my previous patterns, Goober Peas and Hard Crackers, I've written about some of the food that soldiers ate on the battlefields, not all of which was considered tasty. Gingerbread, however, was a “comfort food” given to sick and wounded soldiers in field hospitals. 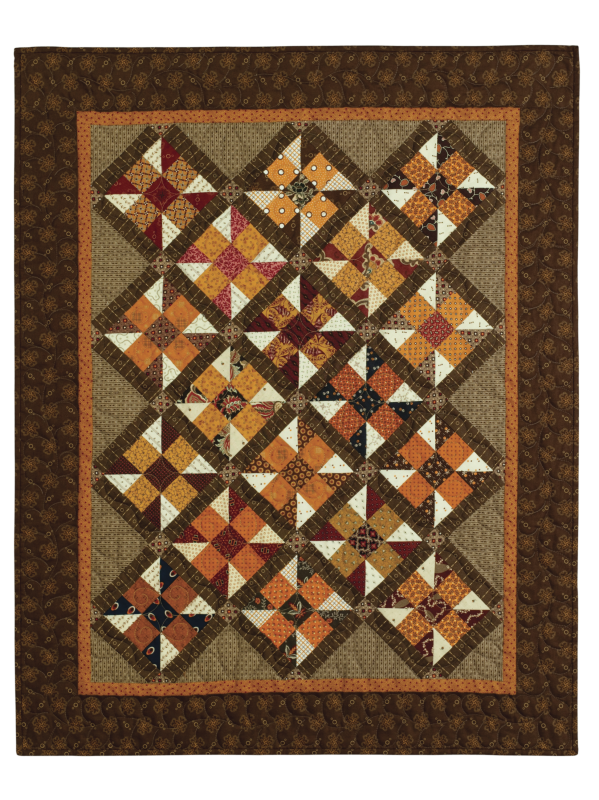 One Civil War nurse’s diary referred to it as “a singular food for sick men.” The shades of brown in this quilt bring the color of gingerbread to mind. The 4 ¾-inch block is a great way to use those wonderful cheddar and shirting fabrics we all collect.